Dave passed away on Monday, July 6, 2015 after a 7 year battle with prostate cancer. He is survived by his wife, Linda, his “Sunshine”, and his children Erin and Jeremy Crawford, Michael and Nichole Ligler, Carissa and Jon Nieves, Michelle and David Stoker and his six granddaughters and one grandson. Dave was a passionate fan of FSU Seminole football and Captain America. Team Cap! Dave and Linda were a determined team that worked together with their amazing angel nurses and many dedicated doctors during their fight against cancer. We are so proud of Dave’s courage during his battle of the beast. Most importantly, we are so proud of Dave’s exit from this journey into his next, he bowed out gracefully and he left our hearts full of love and pride. A private family gathering will be held to celebrate Dave’s life. 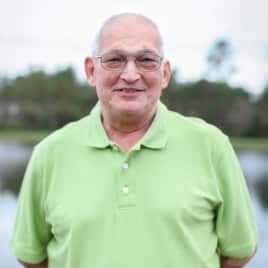 If you would like to honor Dave’s memory, we ask that donations be made to the Prostate Cancer Foundation at www.pcf.org. Healgrief has a memorial to share with you. https://healgrief.org/david-ligler-07062015/ We invite you to express condolences, share special memories and photos and light virtual candles to honor and celebrate the life of our loved one. We also invite you to share this with others who may want to be notified as well. You may do so by sharing the link or by clicking the “Share this Memorial” button from within the memorial itself.